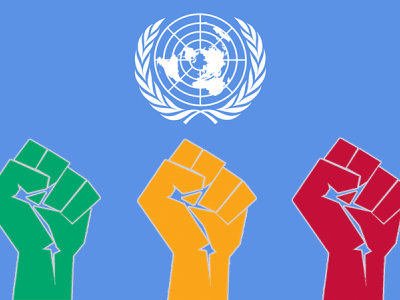 Our organisations welcome the adoption of the resolutions on civil society space, peaceful protest, on violence against women and girls and on discrimination against women and girls and the Council’s rejection of attempts to impede progress on protecting civil society space, peaceful protest and the rights to sexual and reproductive health. 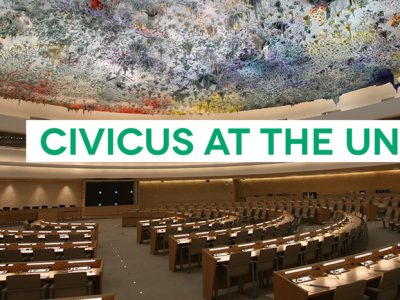 On civil society space, the resolution recognizes the essential contribution that civil society makes to international and regional organisations and provides guidance to States and organisations on improving their engagement with civil society. On peaceful protest, it sets out in greater detail how international law and standards protect rights related to protests. On violence against women and on discrimination against women, we consider that ensuring sexual and reproductive health and rights are vital in efforts to combat violence and discrimination against women, online and offline, as well as to ensure targeted and specific remedies to victims. We appreciate that the work of women human rights defenders towards this is recognised. We consider the adoption of the resolution on the contribution of the Council to the prevention of human rights violations as an important opportunity to advance substantive consideration on strengthening the Council’s ability to deliver on its prevention mandate. Following challenging negotiations, we welcome the adoption by consensus of the resolution on human rights and the Internet, reaffirming that the same rights that people have offline must also be protected online, and calling on States to tackle digital divides between and within countries, emphasising the importance of tools for anonymity and encryption for the enjoyment of human rights online, in particular for journalists, and condemning once more all measures that prevent or disrupt access to information online. 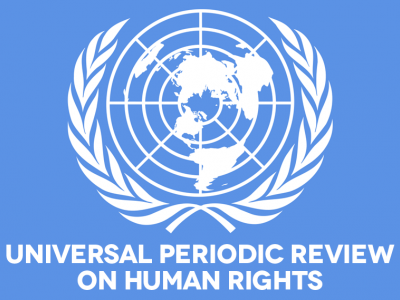 We welcome continued Council attention to Eritrea's abysmal human rights record. This year's resolution, while streamlined, extends expert monitoring of, and reporting on, the country and outlines a way forward for both engagement and human rights reform. We urge Eritrea to engage in long-overdue meaningful cooperation. We welcome the renewal of the mandate of the Special Rapporteur on Belarus under item 4 with an increased vote - as it is still the only independent international mechanism to effectively monitor human rights violations in Belarus - while remaining concerned over a narrative to shift the mandate to item 10 in the absence of any systemic change in Belarus. We welcome the consensus resolution on the Democratic Republic of Congo, putting in place continued monitoring and follow up on the expert’s recommendations on the Kasais. However, given violations and abuses throughout several regions in the country, occurring against the backdrop of an ongoing political crisis, delayed elections, and the brutal quashing of dissent, we urge the Council to promptly move towards putting in place a country-wide mechanism that can respond to events on the ground as they emerge. We welcome the strong resolution on Syria, which condemns violations and abuses by all parties, and appropriately addresses concerns raised by the COI about the use of chemical weapons, sexual and gender-based violence, and the need to address situations of detainees and disappearances. The Council cannot stay silent in the face of continued atrocities as the conflict continues unabated into its seventh year. We welcome the joint statements delivered this session on Cambodia, the Philippines, and Venezuela. We urge Council members and observes to work towards increased collective action to urgently address the dire human rights situations in these countries. On the Philippines, we emphasise that the Council should establish an independent international investigation into extrajudicial killings in the ‘war on drugs’ and mandate the OHCHR to report on the human rights situation and on moves toward authoritarianism. The joint statement on Cambodia represents a glimmer of hope after the Council's failure to take meaningful action against clear sabotage of democratic space ahead of elections. Close scrutiny of the human rights situation before, during and after the elections is paramount and the Council must take immediate action on current and future human rights violations in this regard. We welcome the joint statement delivered by Luxembourg calling on the HRC President to provide short oral updates on cases of alleged intimidation or reprisal, including actions taken, at the start of the Item 5 general debate of each Council session and also provide States concerned with the opportunity to respond. Finally, the new Council member to replace the United States should demonstrate a principled commitment to human rights, to multilateralism and to addressing country situations of concern by applying objective criteria.